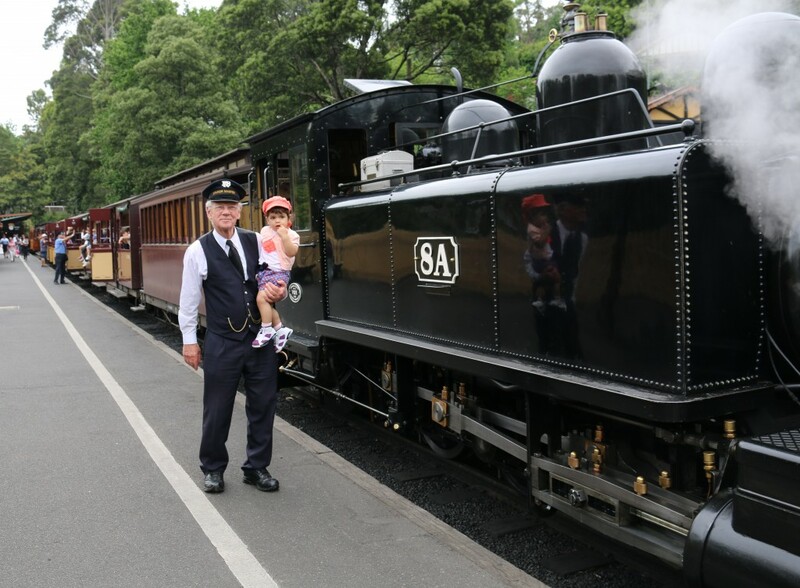 The Puffing Billy Railway is said to be Australia’s favourite steam train and one the finest preserved steam railways in the world. 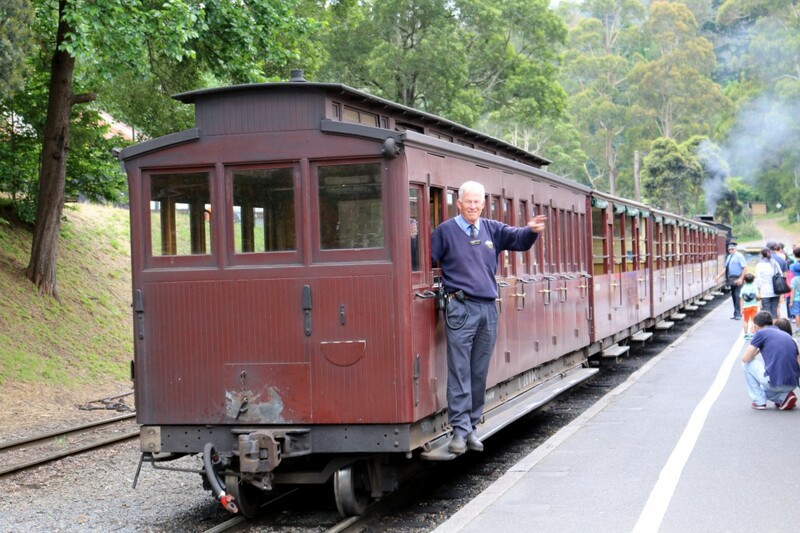 The railway commenced operation on December 18, 1900 and was used to transport goods and passengers throughout the area. 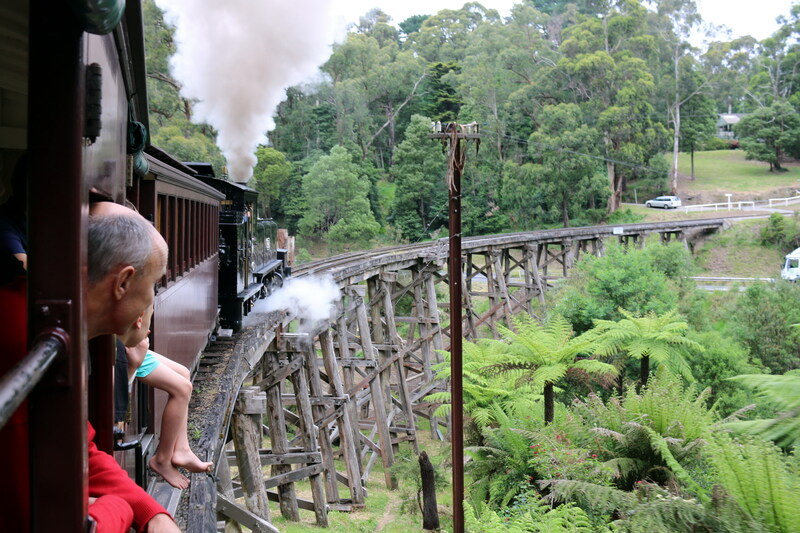 Puffing Billy Railway is now a major tourist attraction and operates every day except Christmas Day. This century-old steam train continues to run on its original mountain track from Belgrave to Gembrook in the magnificent Dandenong Ranges 40kms east of Melbourne. 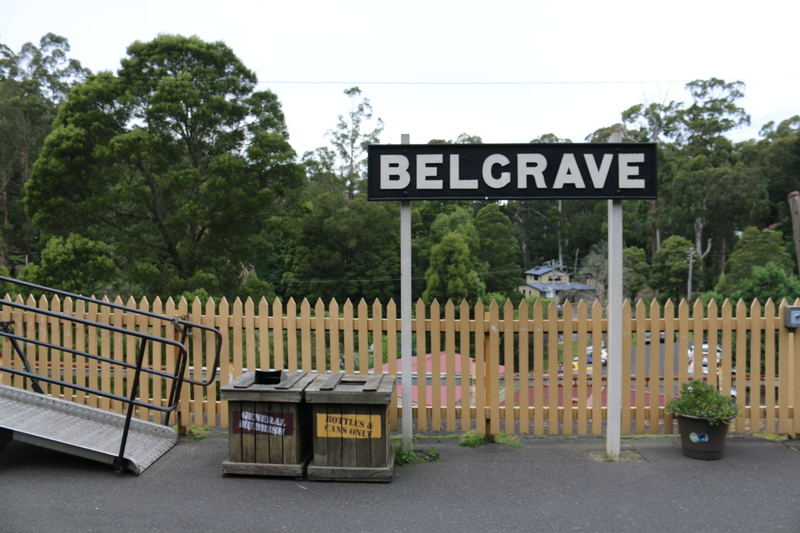 We arrived at Belgrave Station (which is the headquarters of the Railway) at around 10.30am. 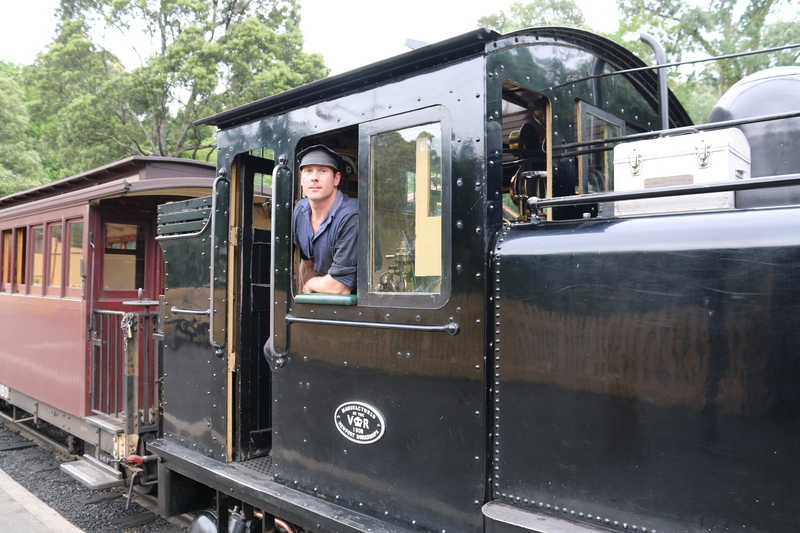 It was just enough time to have a chat with Station Master John and take a few photos. 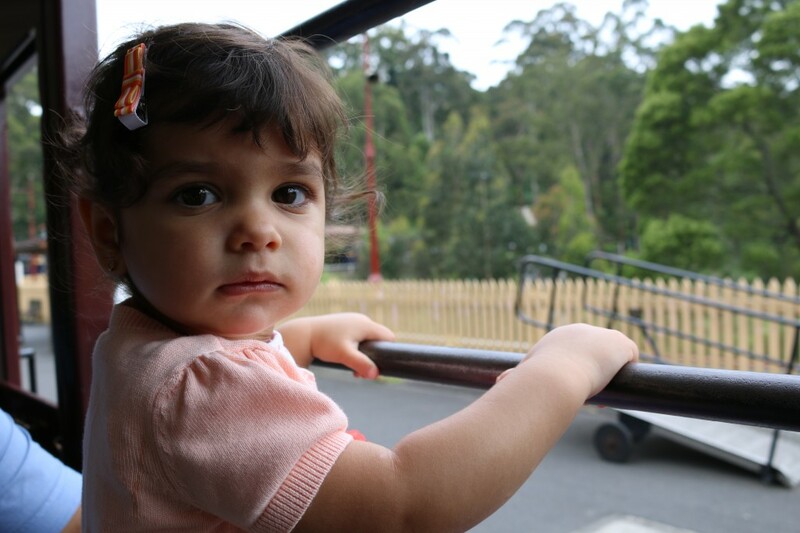 My daughter was a bit hesitant to get on the train to start with as I guess it was all a new experience for her. After abit of persuasion, she was ready and we were on. Hot Tip: If you need to bring your pram along, just note that you will need to fold it down on train, so be prepared. 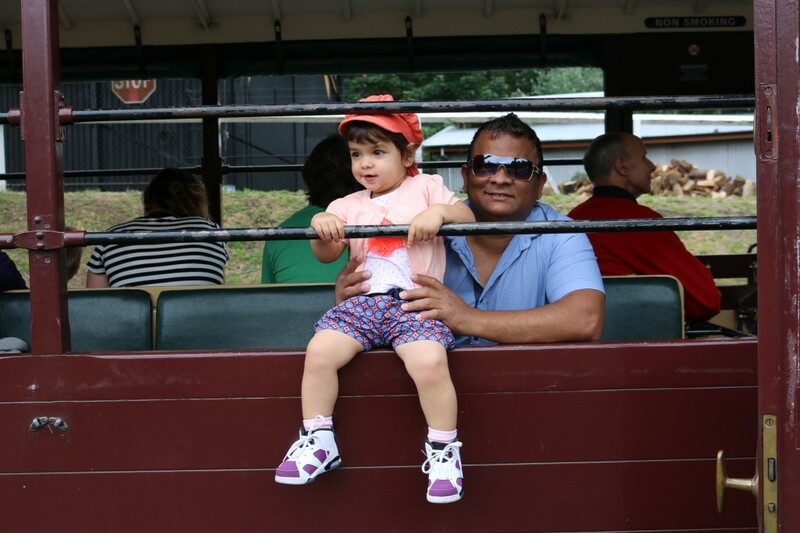 After the steam train headed off, it didn’t take my daughter long at all to want to sit up on the window and hang her legs out like all the other kids. 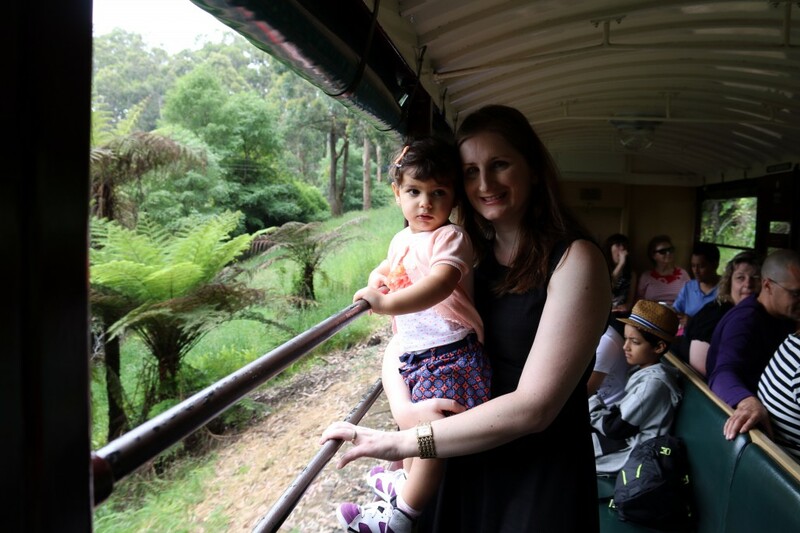 The scenery is absolutely beautiful heading along through the Dandenong Ranges. One of my tips at this stage of the ride is too definitely bring your sunglasses if you’re sitting in the front few carriages. 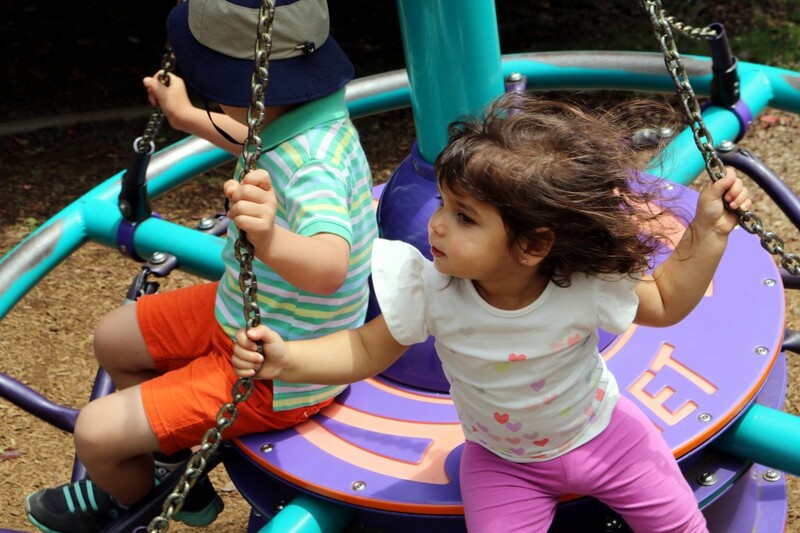 There was a lot of coal particles flying through the air and I did notice a lot of the kids rubbing their eyes, including my own daughter. 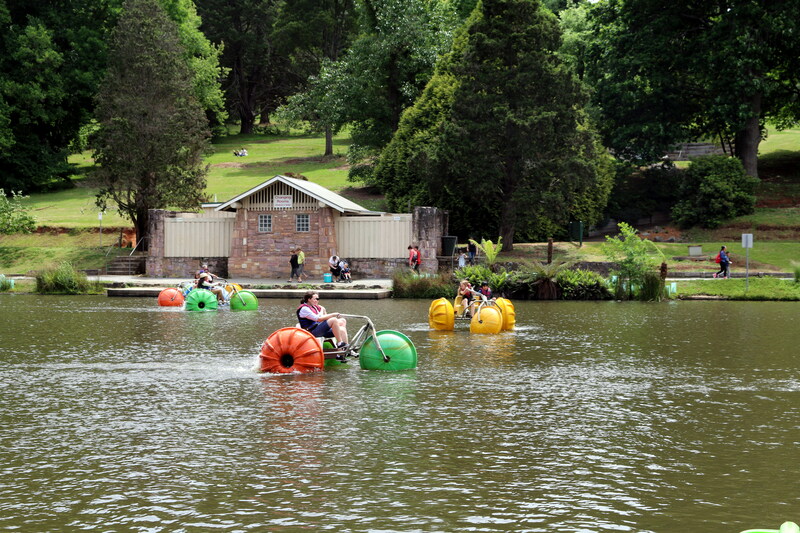 After about a 1 hour or so on the Puffing Billy we arrived at our destination Lakeside (Emerald Lake). What a beautiful location. The grounds are famous for its picnic and barbecue spots. 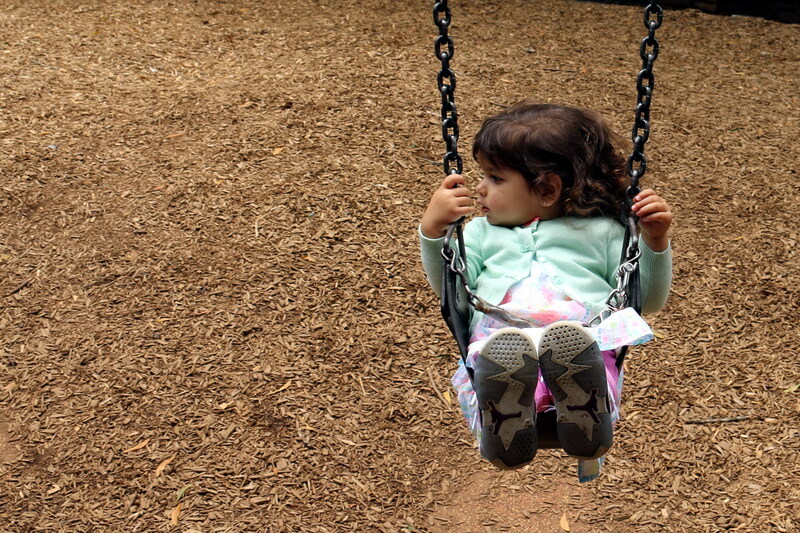 The park was pretty full when we got there with Christmas parties and gatherings. We had about 2 hours there before our train was departing back home. We decided to head to the little café for a bite to eat for lunch. I found the food there quite expensive for what it was. Hot Tip: Pack your own picnic lunch or snacks to bring along. 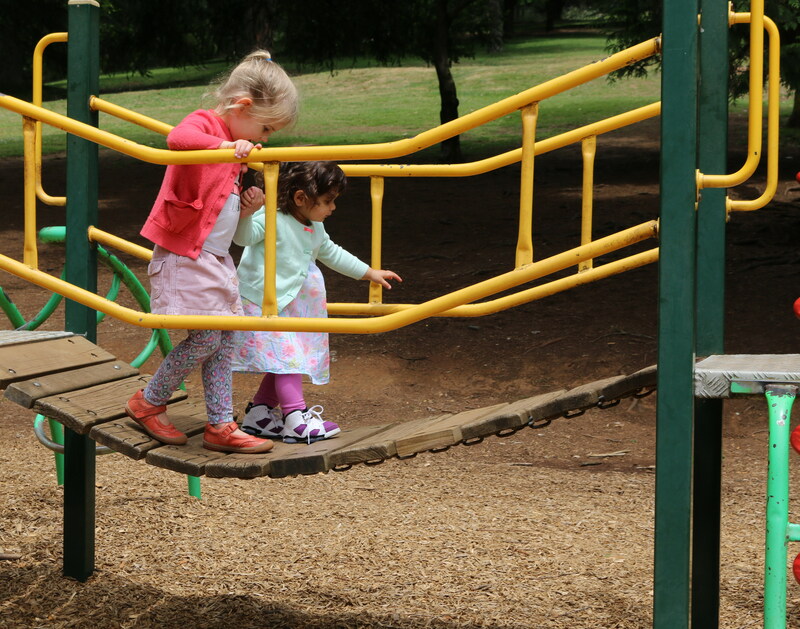 We then headed down to the playground so Lara could stretch her legs for a while. 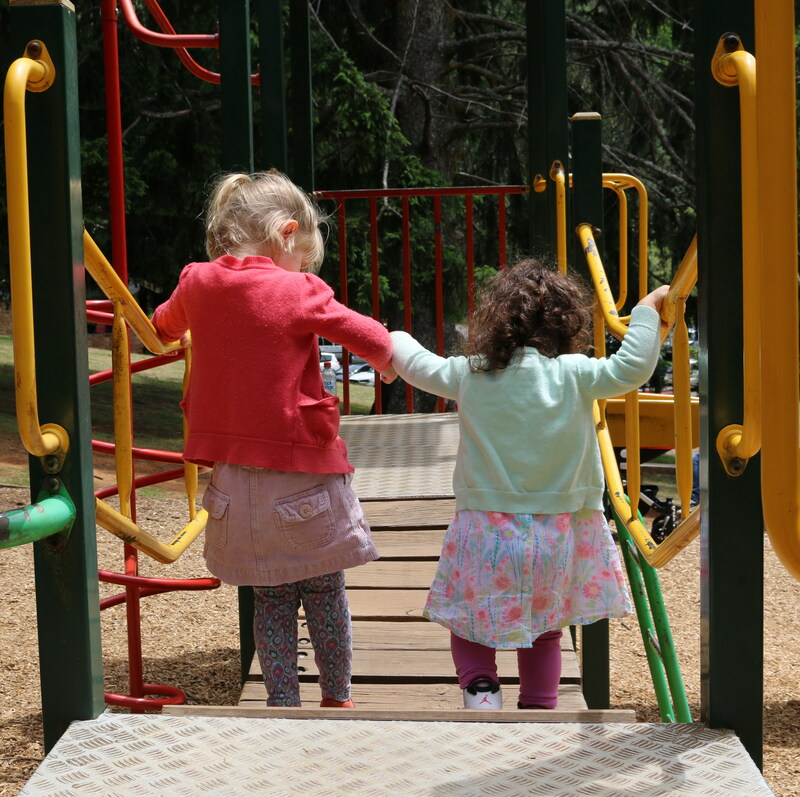 The view from the playground is beautiful as you can see down to the Lake. 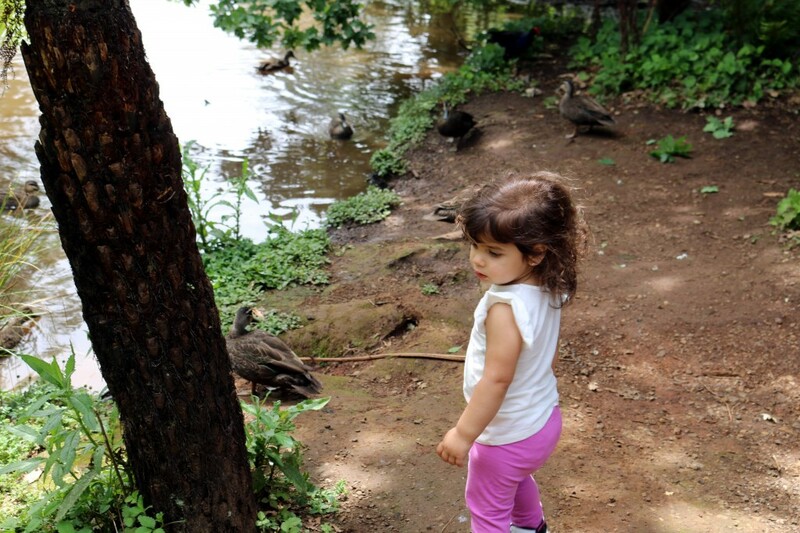 We then headed down to Lake to watch the paddle boats and feed the ducks. Hot Tip: Make sure you wear runners or pack a pair as there is a lot of walking and a lot of hilly areas. It was time to head back to the station and jump on board for our ride home. 10 minutes into the journey, my daughter fell asleep. It was a peaceful relaxing ride home for my husband and I and we were able to take in the beautiful scenery uninterrupted. 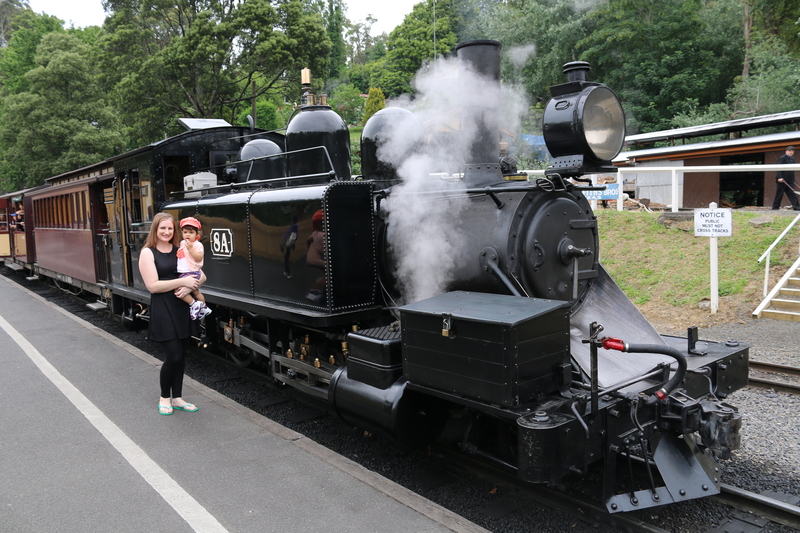 I would definitely recommend the Puffing Billy to all my viewers with or without kids. Please check their website for more information on prices and timetables. 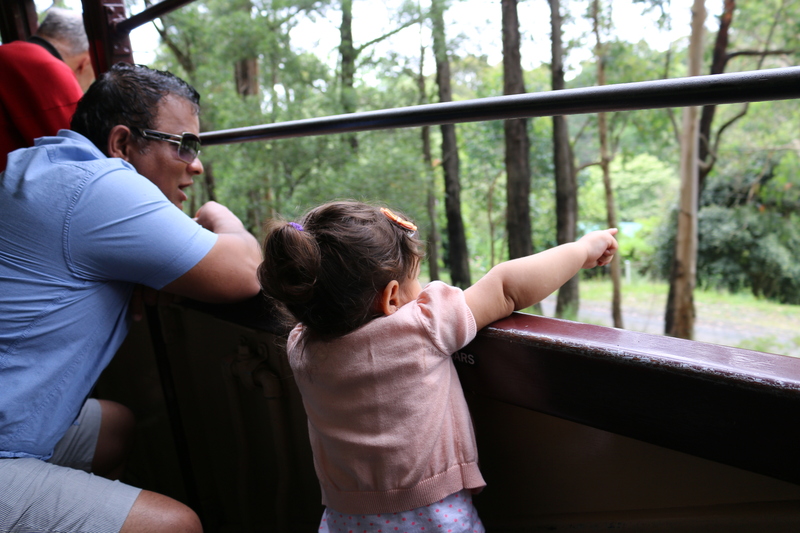 I would like to thank the Puffing Billy for hosting my visit and allowing my family to share my experience with you all. 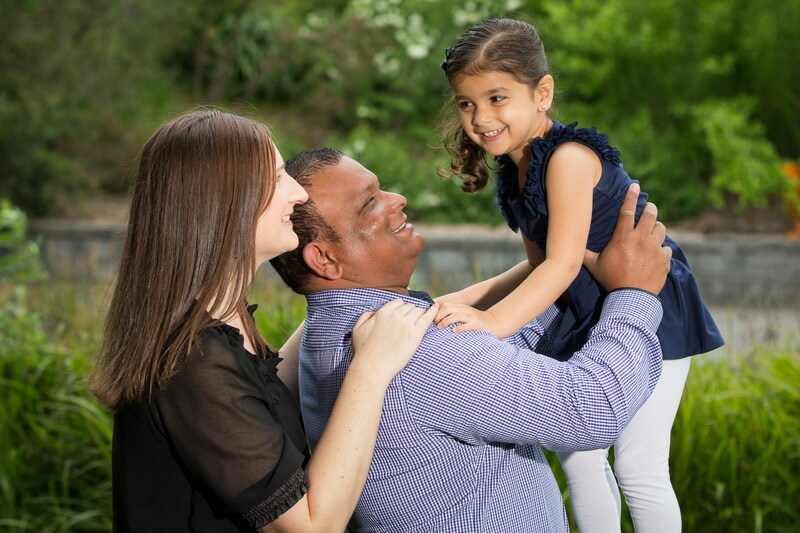 I would also like to thank John and Rudolph for their extra care with my family. As always, my opinions are definitely my own. 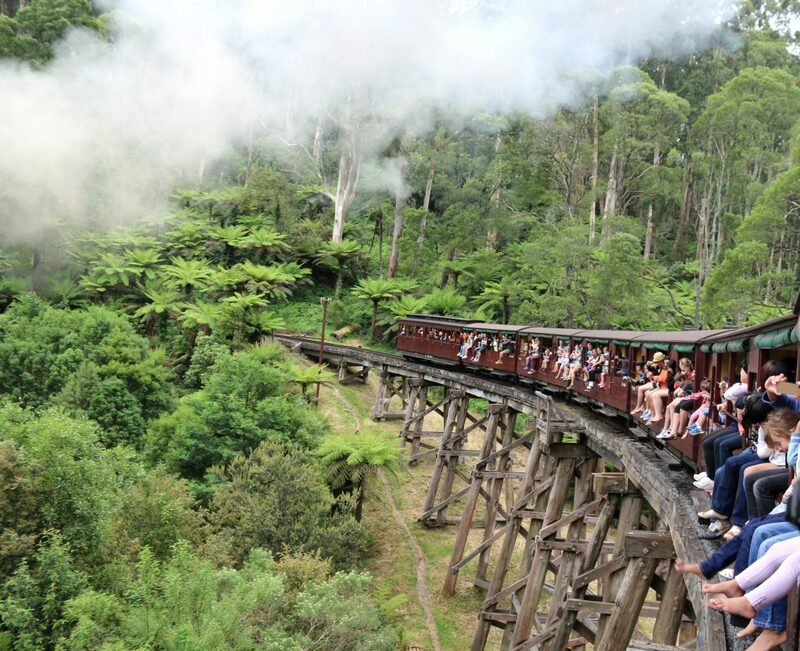 Have you been on the Puffing Billy? If so, how was your experience?